The Suleymaniye Mosque is a jewel of the Golden Horn and certainly one of the most beautiful buildings in Istanbul. 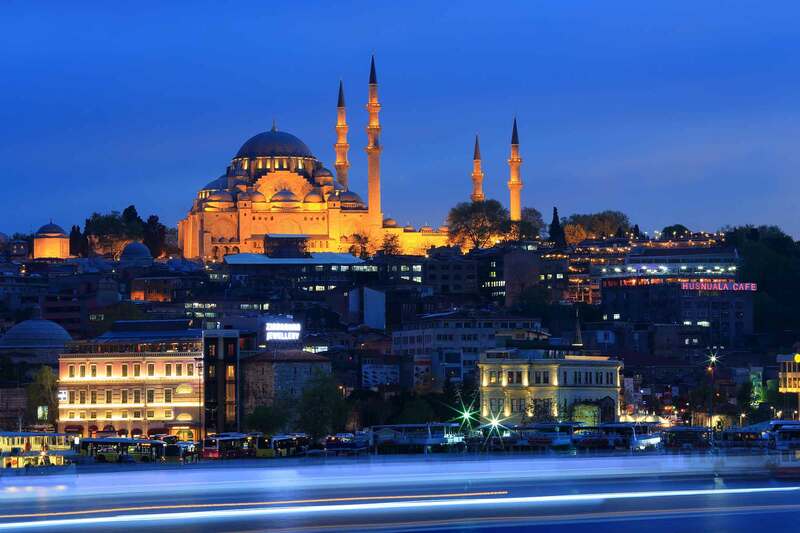 Suleymaniye Mosque was built between 1551 – 1557 by the order of Sultan Suleyman the Magnificent. The architect was the infamous Mimar Sinan who was one of the most famous architect of the Ottoman history. As the New Rome, Constantinople was found on 7 hills. Suleymaniye is located on the second hill of Constantinople. It is widely viewed from most parts of the Golden Horn making a wonderful scenery. The architecture has a traditional Ottoman style which was built on the foundation of the architecture of Hagia Sophia. Unlike the Blue Mosque, the Suleymaniye Mosque has only 2 semi domes to support the grand dome. The interior decor is simple when it is compared to the Blue Mosque yet amazingly beautiful. Mimar Sinan used the top quality materials for the interior design and he spend a good amount of time to work on the acoustic and draught. The reason why the airflow was important is to enable the smoke that comes out of the oil lambs to be collected in the hidden rooms. The collected in the rooms were later used for top quality ink for calligraphy. The mosque has 4 minarets and 2 of them have 2 serefe (balcony) 2 of them has 3 balconies each. There is a symbolism on these numbers. Suleyman the Magnificent was the 10th sultan in the Ottoman history which is the sum of the balcony numbers and he was the 4th sultan after the conquest of Istanbul which is the sum of the minaret number. On the south side of the mosque there are tombs of Suleyman the Magnificent, Roxelana, her beloved wife, some other royal family members. 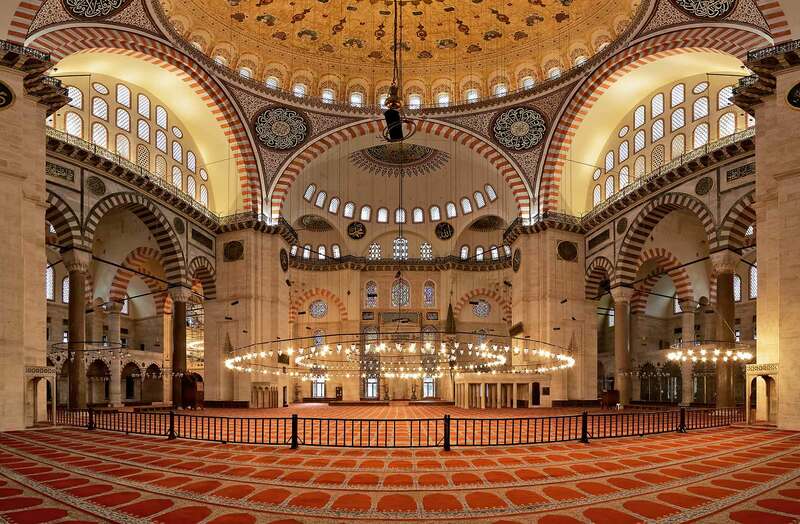 Even though Suleymaniye Mosque is an active mosque it is open for tourist visits during the days.